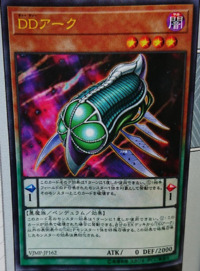 Pendulum Effect: You can target 1 Pendulum Summoned monster your opponent controls; destroy that monster, also this card. You can only use this effect of "D/D Ark" once per turn. 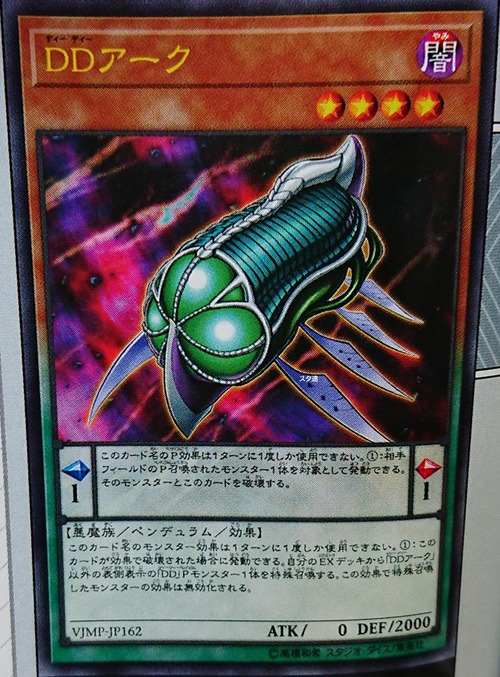 Monster Effect: If this card is destroyed by card effect: You can Special Summon 1 face-up "D/D" Pendulum Monster from your Extra Deck, except "D/D Ark", but negate its effects. You can only use this effect of "D/D Ark" once per turn. This monster's design is based off Noah's Ark.